Brooklyn and Allison were embarking on a wonderful new adventure at the time of this session. Allison was about to start a graduate school program in NYC and she and Brooklyn were about to move there together, which meant leaving the city where they met, where they fell in love: a place that has so much significance and meaning to them. 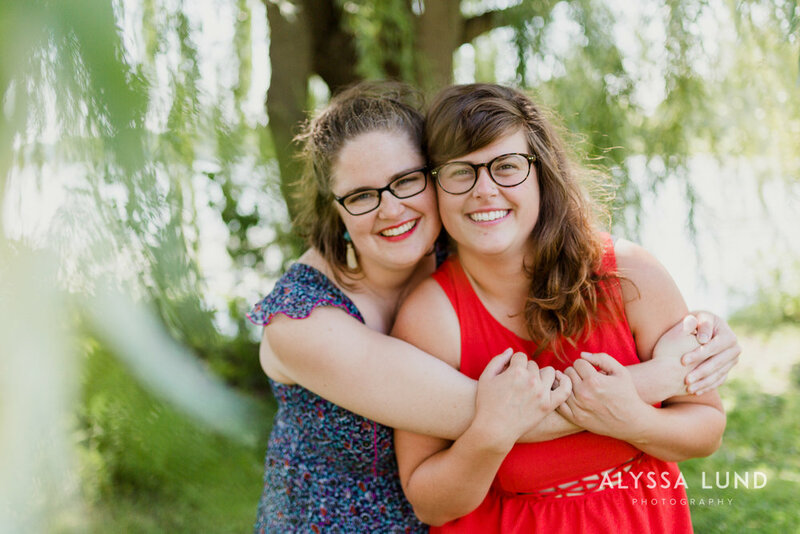 The two are friends of mine and when we started dreaming about a couples session to act as a love letter to their time together in the Twin Cities I couldn’t have been happier. They chose Lake of the Isles for their session (a spot I adore) because it was the site of so many of their weekend walks and dates, a place that held so many memories of lazy afternoons spent reading, rambling and talking about everything and nothing. The park around the lake was full of happy bright light and lush summer greenery and it the perfect setting for Brooklyn and Allison’s bold dresses and these photos of them just bursting with love for each other. Brooklyn and Allison, thank you for sharing this happy moment with me! I’m so excited for you two to take on this new adventure and so honored that you trusted me to help you create a love letter to your time in the Twin Cities. P.S. The sweetest thing happened when I went to meet these two for the session: I usually arrive a few minutes early to the location and, as I was walking up to our meeting spot, I saw, blurry in the distance, a couple sitting cozily on a blanket together. I thought again how perfect this spot was for photos and how picture perfect this couple was and, surprise, it was Brooklyn and Allison who had arrived early to have a mini date before their session. So many feels.